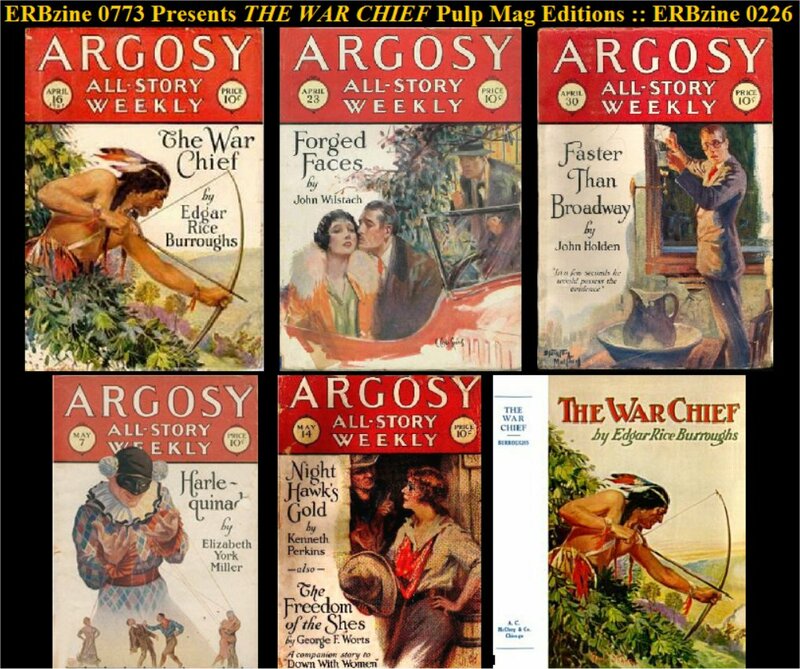 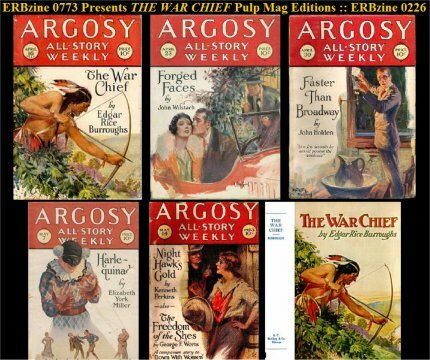 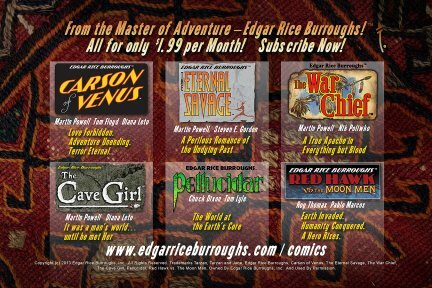 ERBzine 0773: War Chief C.H.A.S.E.R. 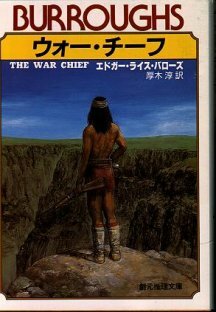 Apache Series The War Chief is a realistic historical novel about life and death on an Apache reservation during the final years of the Apache wars until the death of Cochise and the surrender of Geronimo. 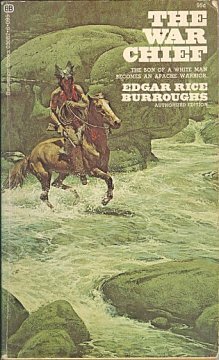 The story focuses on Andy MacDuff, an infant kidnapped by the Apaches in a raid, adopted by Geronimo and renamed Shoz-Dijiji, or Black Bear. 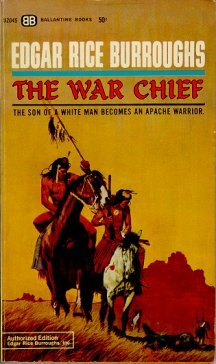 He is given a proper Apache upbringing, including initiation into all the rites and responsibilities of Indian Manhood. 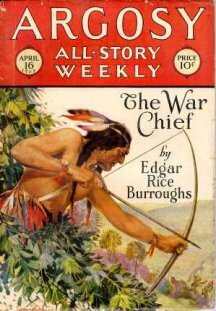 He excels at the crucial skills of hunting and warfare, shows himself to be strong and courageous, and soon is made a highly prized war chief. 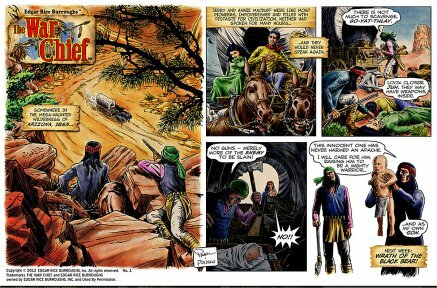 During his apprenticeship, Shoz-Dijiji falls in love with Ish-Kay-Nay, an Apache maiden, who, unfortunately is coveted by another Apache chief, Juh, who hates Shoz-Dijiji for being Geronimo's favorite. 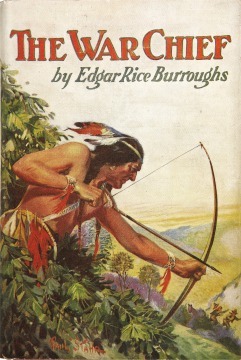 Burroughs' great respect for the West and compassion for the exploitative treatment of the Indians the hands of the treacherous pin-dah-lickoyee ("white eyes") is manifested throughout this honest, vivid, and sympathetic portrait of the West that does credit to both the Indians and Edgar Rice Burroughs. 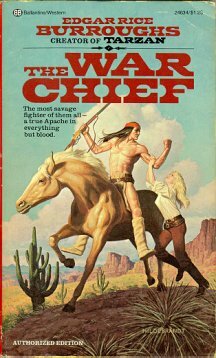 Apache Devil: Shoz-Dijiji, or Black Bear, kidnapped by the Apaches from his white pioneer family as an infant and raised by Geronimo, is now a brave and accomplished Apache War Chief. 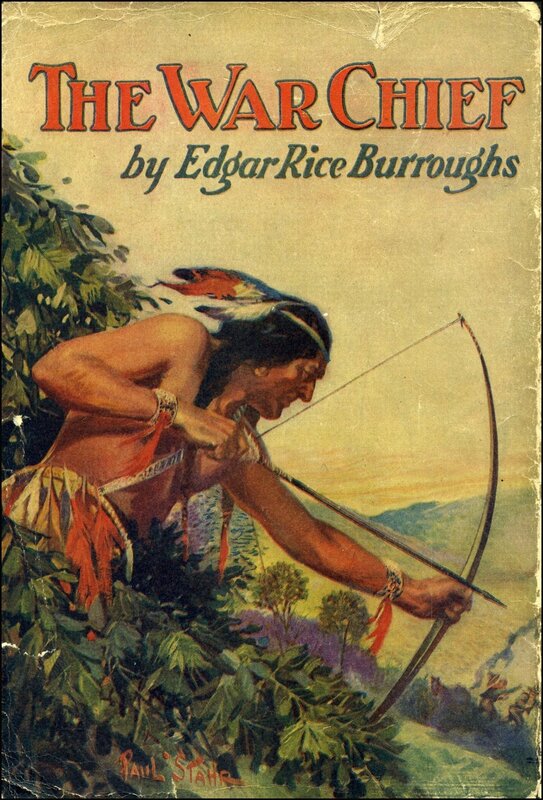 In addition to the skills of hunting and warfare he has learned to hate violently the pin-dah-lickoyee ("white eyes") from witnessing their consistently wretched treatments of the Apaches: violation of treaties, forced imprisonment on reservations, and economic exploitation. 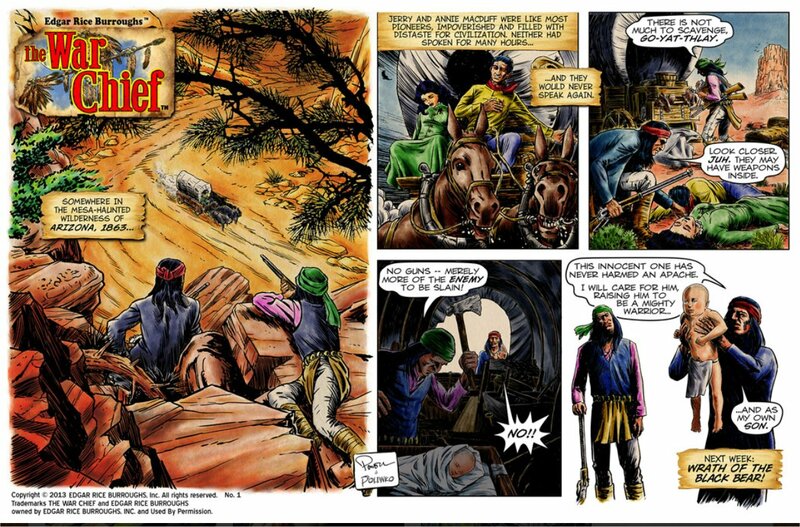 Shoz-Dijiji is also embittered by bereavement over the death of a young Indian maiden he had loved. 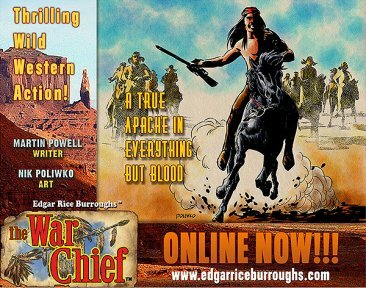 He becomes notorious as the blood thirsty Apache Devil a daring and intrepid raider, His adventures bring him together with Wichita Billings, a tough-minded white frontier girl, and they reluctantly fall in love, despite seeming culture and racial differences. 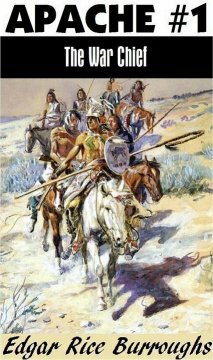 But the main action of the novel is the final pursuit and surrender of Geronimos to General Miles chronicled here in grim and realistic detail. 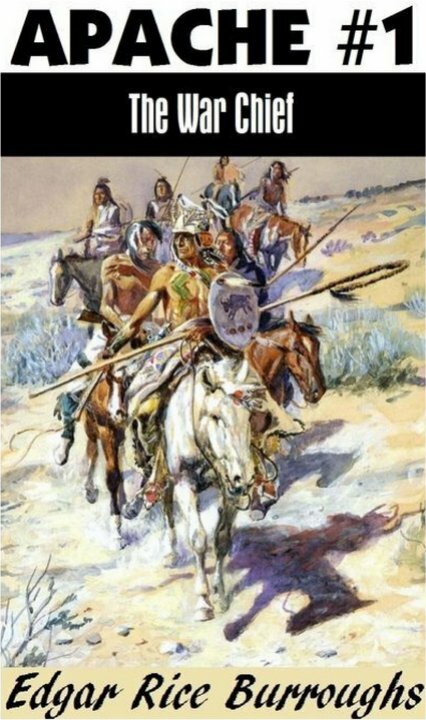 APACHE DEVIL is remarkable for it's honest and sympathetic treatment of Apache life at a time when almost everyone else portrayed the Apaches as devil incarnate; it is an epic worthy of Apache Devil an exciting but tragic era of American history. 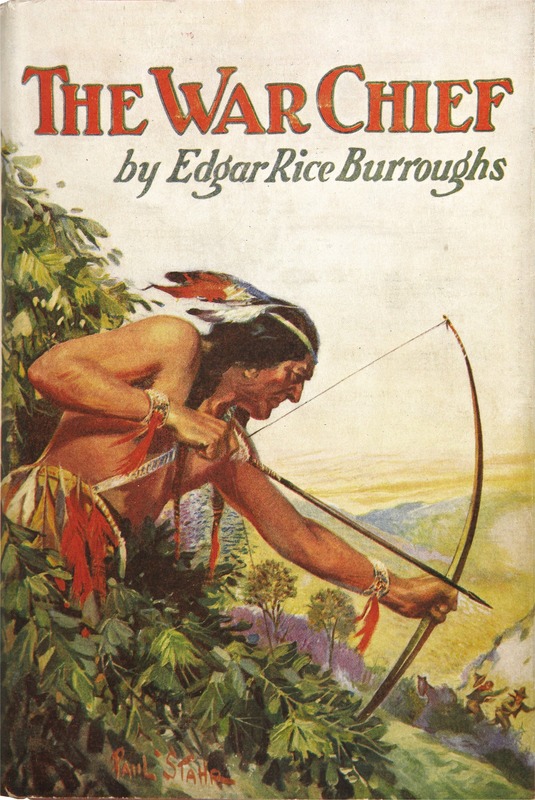 "Annual Report of the Smithsonian Institution"
Chicago: A. C. McClurg, 1927. 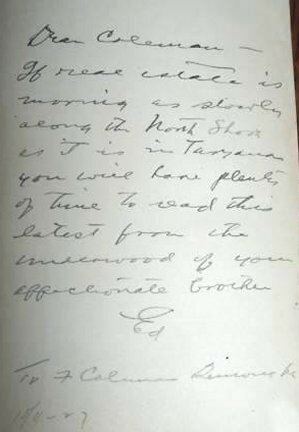 First edition inscribed by Edgar Rice Burroughs. 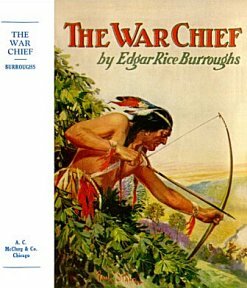 after first day of publication of War Chief . 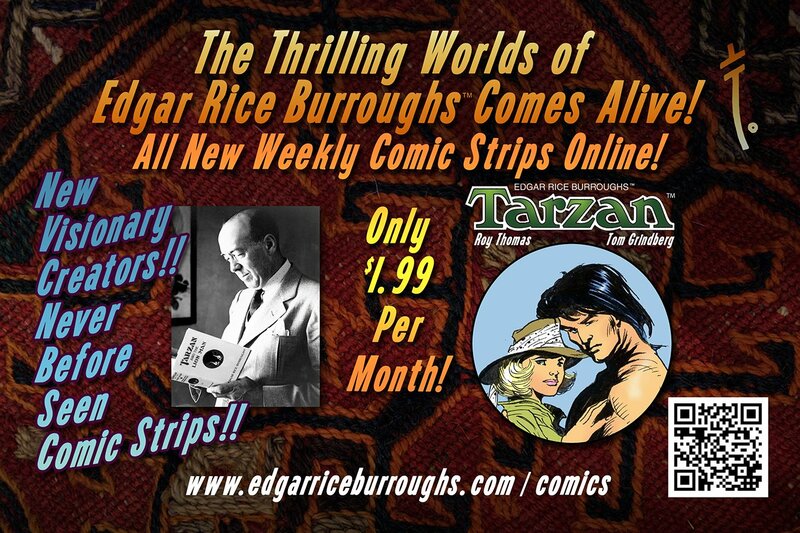 To F. Coleman Burroughs 10/4-27"
Written by Martin Powell and illustrated by Nik Poliwko.